Arthur Camporese was born in Padova, Italy and he immigrated to Canada in 1961. 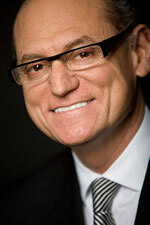 He attended McMaster University for undergraduate studies in 1977 and after 2 years, was accepted into the University of Western Ontario Law School. He was called to the bar in 1984 and has practiced in Hamilton ever since. Art has had a varied career however his practice is predominantly centered around civil litigation with an emphasis on personal injury and insurance defence law. He represents clients injured in car accidents, slip and falls and sexual assaults and he has experience with medical malpractice and product liability cases. He also represents insurers with respect to bad faith litigation and property and casualty losses. Art has extensive trial experience (both jury and non-jury) and has appeared before the Ontario Court of Appeal, Financial Services Commission and various administrative boards such as the CPP and WSIB tribunals. Art is an active member of the Hamilton community. He is a former coach in the Ancaster Little League and Minor Hockey Association and he volunteers with the Hillfield-Strathallan College Parents Association. Art is also a proud sponsor of the Hamilton Brain Injury Association’s Annual Walk-a-thon.